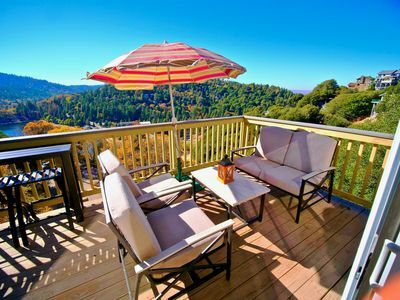 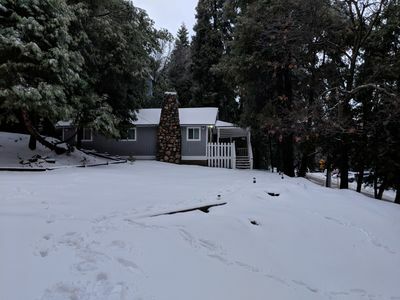 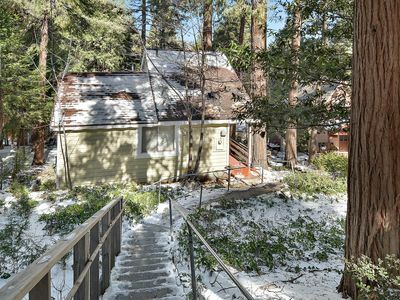 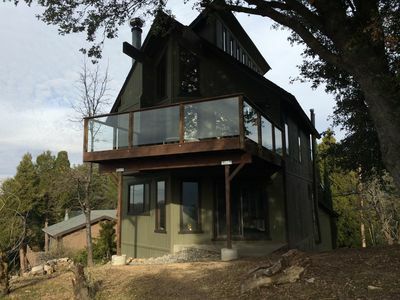 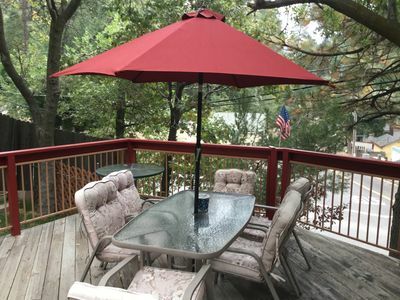 Enjoy the Lake Arrowhead Area in style when you book this modern, mountain 2-bedroom, 2-bath vacation rental cabin in Crestline. 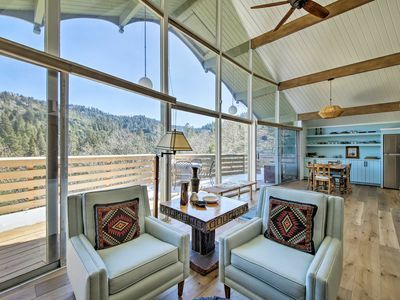 Boasting 1,810 square feet of carefully crafted living space, this home was meticulously designed, with mid-century architecture and bright organic features! 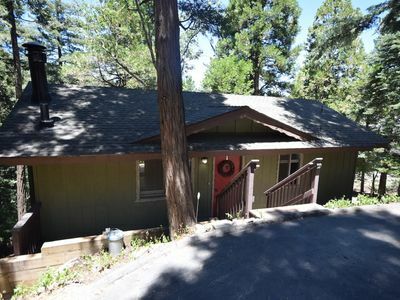 Ideal for large family getaways and groups of 6, this property is located under a mile to Lake Gregory, 7 miles to Lake Arrowhead Village, and within minutes of hiking, biking, and off-roading adventures! 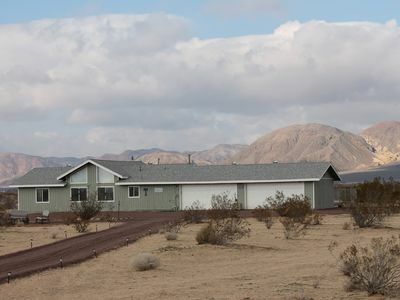 Leave your worries at the front door of this stunning home thoughtfully designed with family in mind. 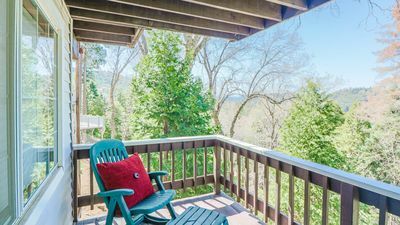 The property is highlighted by vaulted ceilings, hardwood floors, a wood-burning fireplace, and a wealth of windows revealing tree-top views. 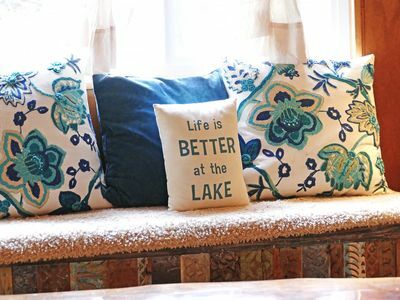 Free WiFi and sumptuous sofas ensure you feel right at home. 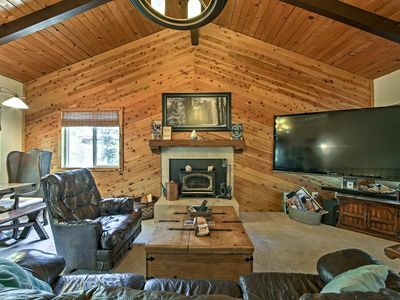 For movie nights, an additional family room is outfitted with a large flat-screen TV. 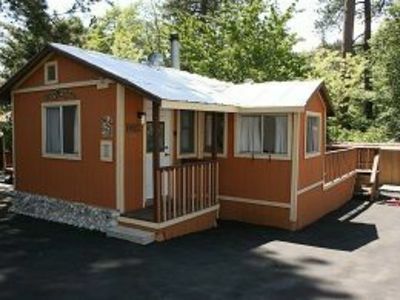 Dirty clothes won't be a paint point either, thanks to the in-unit laundry machines. 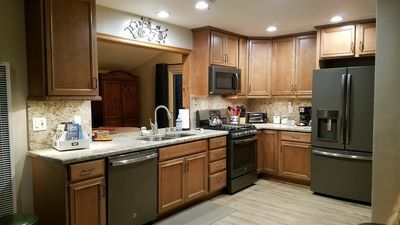 When everyone has worked up an appetite, put your culinary skills to the test in the beautifully remodeled kitchen, which comes fully equipped with stainless steel appliances, sleek tile backsplash, and all the kitchenware needed to whip up a delicious home-cooked meal. 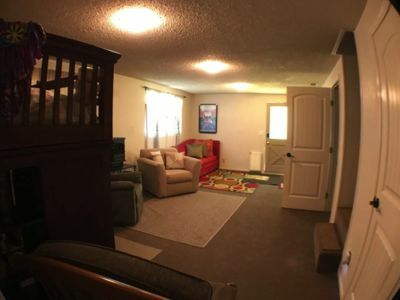 Come nighttime, 2 bedrooms, plus a king sleeper sofa in the downstairs family room, comfortably accommodate 6 guests in total. 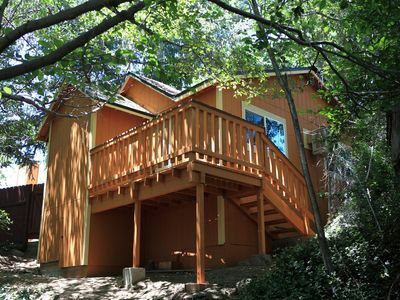 Wake up feeling refreshed and sip your coffee from the spacious deck with breathtaking forest views! 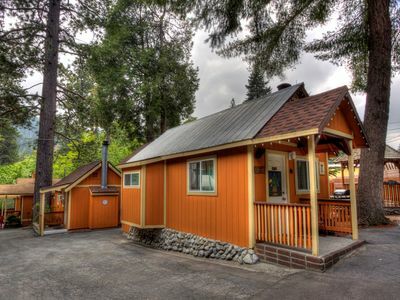 Outdoor enthusiasts - you're in the right place! 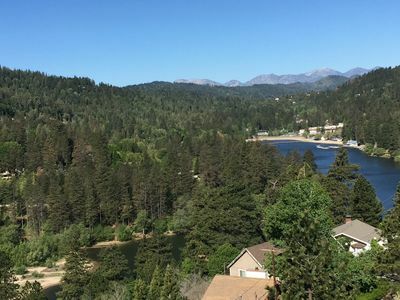 With plenty of lakes and woodlands, fishermen, mountain bikers, and hikers will all love spending time in Crestline. 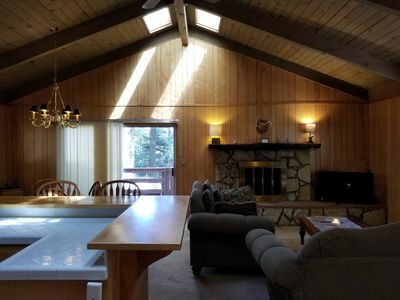 Be sure to bring your swimsuit along as this wonderful home is located just 1.5 miles from Lake Gregory Regional Park, where you'll find picnic areas, BBQ grills, and trailheads nearby! 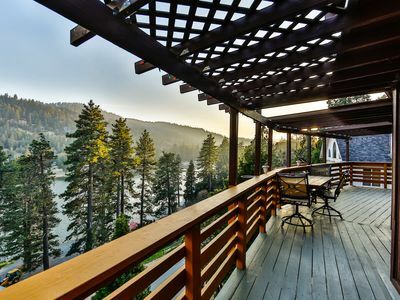 Should you need a change of scenery, venture just 7 miles to Lake Arrowhead Village, home to shopping, dining, and entertainment galore, or check out SkyPark at Santa's Village which offers fun for the whole family. 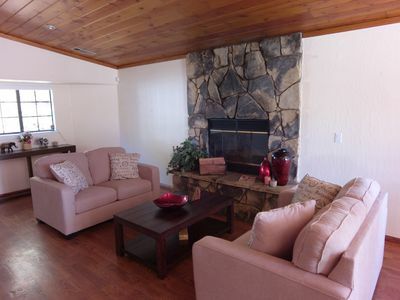 Lake Gregory Paradise.Three bedrooms.Few Minutes From The Lake. 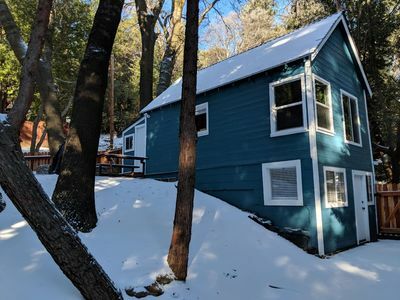 Newly renovated, serene cabin surrounded by trees, walking distance to town!